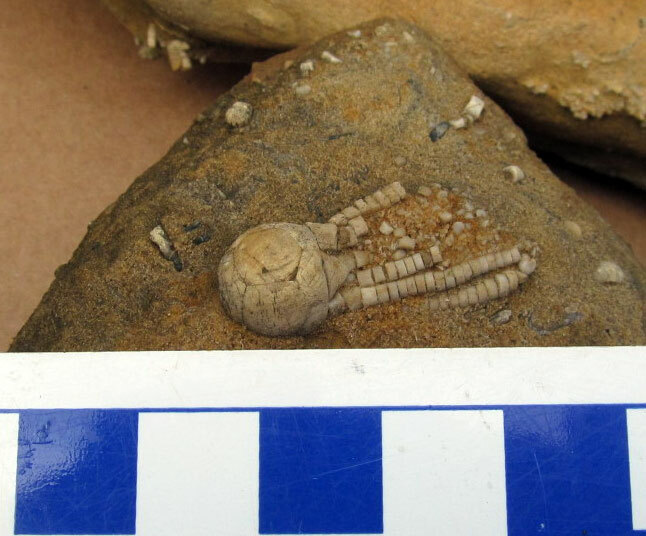 Image sent to me of a crinoid calyx fossil found in southern Indiana USA. It is from the Mississippian Period and appears to be a Phanocrinus nitidus. This crinoid might also be an Agassizocrinus sp.